The iPhone X has some pretty stiff sibling rivalry from the iPhone 8 Plus. If you don't obsess about edge-to-edge OLED displays and Face ID, the Plus is probably a better deal. Better because there's key commonality between the iPhone X and iPhone 8 Plus but you'll pay a lot less for the Plus (and probably have a lot less trouble getting one). And, to be clear, the 4.7-inch iPhone 8 also matches the iPhone X on most of the specs below, with the exception of the dual-lens camera on the 5.5-inch iPhone 8 Plus. Identical A11 chip is in both the iPhone 8 and iPhone X. Processors: the same. This makes the iPhone 8 the X's equal when it comes to processing oomph -- a critical spec, if not the most critical. The A11 Bionic processor comes with a Neural Engine and embedded M11 motion coprocessor. And the new Apple‑designed three‑core GPU (graphics processor unit) is up to 30 percent faster than the (prior-generation) A10's GPU. Qi standard wireless charging in both the iPhone 8/8 Plus and iPhone X.
Wireless charging: the same. Wireless charging that works with industry-standard Qi chargers. The glass back allows you to set the iPhone 8/8 Plus down on a mat to charge it up. iPhone 8 Plus, iPhone 8: glass front and back. Glass front and back: the same. And speaking of glass, Apple is claiming the "most durable glass ever in a smartphone" in all of the new phones. Splash, water, and dust resistant: the same. Rated IP67 under IEC standard 60529 on all phones. The IP67 rating means that the phones are protected from dust and can be submerged in about 3.3 feet of static water for up to 30 minutes. Price and availability: Not the same. iPhone X starts at $999 for the 64GB version and jumps to $1,149 for 256GB. But it won't ship until November 3.
iPhone 8 Plus is $799 for 64GB and $949 for 256GB. And it's available on September 22 (Apple's site currently says "ships: 1–2 weeks."). iPhone X: Yes, it's different. 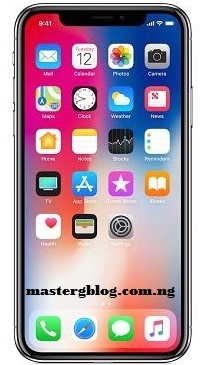 The iPhone X is obviously going to be the only choice for lots of buyers because of its novel "all-screen" OLED-display design, front "TrueDepth" camera and Face ID unlocking (and no home button). Apple is joining a number of Android manufacturers in offering wireless charging with its latest iPhones, and Apple’s backing might just tip the scales in favor of the technology. Google just officially confirmed that the new Pixels will be launched on October 4. We suspected it ( that massive billboard that Google put up definitely helped), but now we have official word in the form of the video teaser above and a sign-up pagethat tells us to stay tuned for more on October 4. Debating between Android and iOS? The debate ends here. If you are ready to buy a new smartphone or other devices, Android is the premier option to go with. These are a few reasons you will love what you get with Android, more so than is the case with iOS. From the actual cost of the smartphones and devices, to cost of apps, you will save quite a bit of money with Android. As a matter of fact, most of their apps are free. 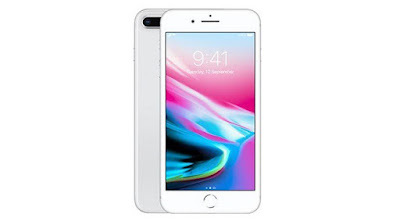 Further, if you go through a contract provider, you can find many which allow you to pay off the price of your new device over several months or years, without incurring interest. So you pay much less over the lifetime of ownership with these devices. If you want to put apps in different locations, run on different software programs, install ROM, or install new hardware programs, go ahead and do so. With iOS you are extremely limited, and can only use their programs/software. With Android, what you see is what you get, and what you prefer, is fully customisable. So go ahead and choose what you like, how you want to see/use it, and virtually set up your devices any way you deem fit as a user. Yes, you can add ROM and other expandable features. But with Android, you can even install the OS of choice. Form Sailfish to Firefox, the choice is yours. Simply install, add up the updates when prompted to do so, and you are ready to browse on any platform you like best. Android offers more, gives you control of the reigns, and offers far more reasonable pricing. So why not give one of their devices a shot if you are an iOS user, and ready for something new? If you would like to know more about the types of android phones available then visit approvedcatalogues.co.uk.